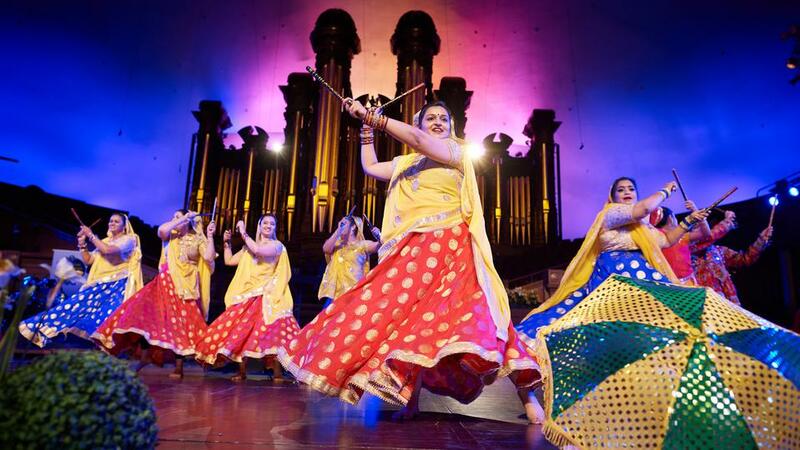 Choirs, dancers and drummers representing many global faiths performed in the Tabernacle on Temple Square in Salt Lake City, Sunday, March 17, 2019. 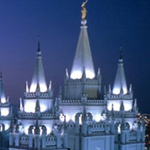 The “Interfaith Musical Tribute 2019” was organized by the Salt Lake Interfaith Roundtable and hosted by The Church of Jesus Christ of Latter-day Saints. Speaking on behalf of the Church, Elder LeGrand R. Curtis Jr. of the Seventy provided the welcoming remarks. A moment of silence was held at the beginning of the program for those killed in a recent shooting two mosques in New Zealand. Opening devotions included a reading by the Islamic Society of Greater Salt Lake. A Jewish shofar, or horn, sounded during the singing of a devotional song. The invocation was offered by Lacee Harris, who represented the Northern Ute and Northern Paiute tribes. The first musical performance of the evening was provided by the Taiko Buddhist Drummers of the Ogden Buddhist Church. The Utah Sacred Harp Singers presented traditional American hymns and songs. The music was sung a cappella. Emerald Hills Institute students performed a religious dance that originated in Turkey. The whirling dervish ritual known as “sema” was formed in 1312. Choir members from the St. Ambrose Catholic Church worshiped through song in the historic Tabernacle building. Dancers from the Sri Ganesha Hindu Temple took to the stage to share their talents with a public audience. The Salt Lake University Institute Singers sang “Joy” and “I Know That My Redeemer Lives.” The performers were made up of students attending the University of Utah and the Church’s institute of religion. Members of the Greek Orthodox Church of Greater Salt Lake participated in the annual event. The choir performed several songs, including two selections in Greek. Yes, I agree with Darrel. Why no video?? Why is there not a video of it?